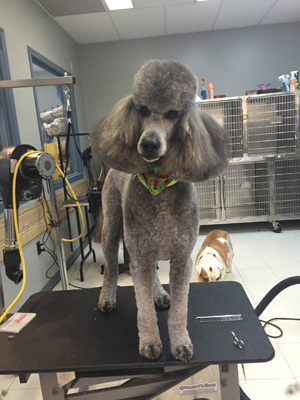 Gary Overs Kennelling & Obedience is pleased to offer all breed grooming at competitive rates! This includes bathing, touchups, flea dips, skunk shampoo, and nail clipping services. We are proud to use biogroom grooming products exclusively at our grooming and boarding facility in Moose Jaw. Appointments are highly recommended, although drop-in services may be available on occasion (please phone us first). We offer pickup and delivery services at no cost to all of our clients! At the present time, we have five qualified and compassionate staff members to serve all your pet needs. Please give us a call at 306-692-6011 for service rates and to book your appointment!